Anyone who hasn't got round to purchasing the Beta version of the magnificent Escape From Tarkov might be interested to know that the Black Friday sale event is coming and with it a 30% discount on all types of pre-orders! Get it while it's cheap(er!). 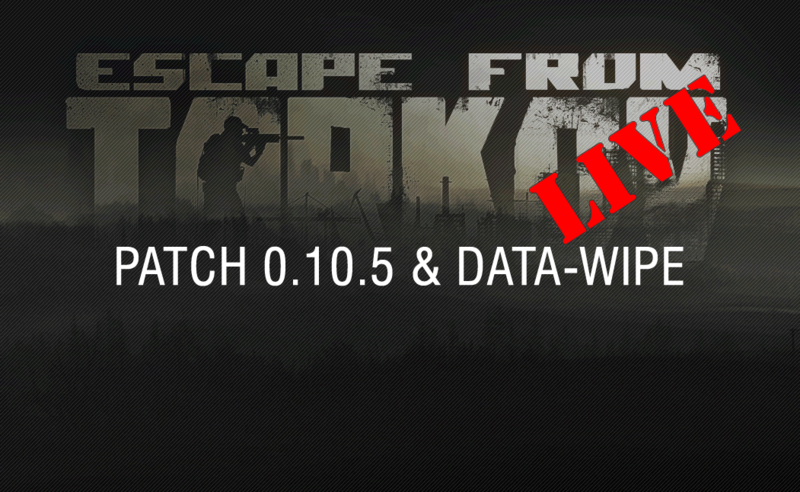 EFT: Patch 10.5 & Data Wipe - NOW LIVE! The long awaited and much anticipated EFT Patch 10.5 and associated data-wipe was applied by BSG in the early hours of this morning. A series of bug fixes, tweaks, changes, optimisations and even some new content and features have been added to the game. These changes have come at a cost though - that being a full data reset for all players, meaning all levels, gear, quest progression and trader relations have been reset. It is anticipated that the as next major patch, 0.11, is mainly a content patch that a full data wipe will not be likely. Based on previous trends and patterns we estimate this may mean have around 4-6 months of persistent progression before we can expect another wipe of some kind, depending upon the next major game features to be worked on and pending how well the current patch is deployed & received. Enjoy the new features guys - a full list of patch notes can be found here! 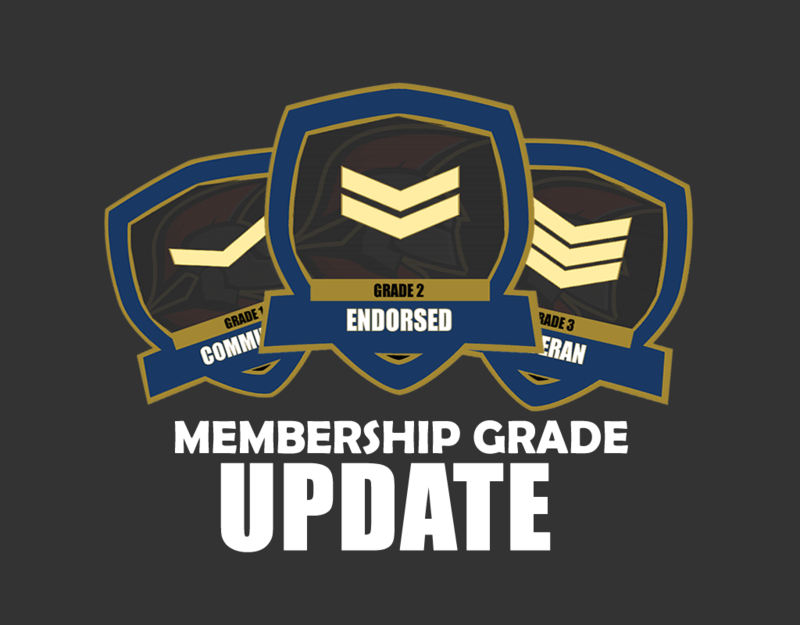 Due to our continued increase in recruitment of new members being inducted into our community, we've revised our current membership grading and recruitment policies. Grade 1 "Community Members" : These are un-verified or casual affiliated players who have joined our Discord server or registered at our website. These guys are recognised and welcomed as a part of our community, but as they are unverified (accountability details and ban checks etc.) they are no permitted to wear our BSB tags when online. Grade 2 "Endorsed Members": These are verified and approved members of the community. These guys are more than welcome to wear our online tags, are eligible for progression, prizes, awards, staff roles and other extended privilages and hounours within the community. Grade 3 "Veteran Members": These are verified members who have been active within the community for at least 6 months. As above, really, just for longer! Grade 4 "Premier Members": These are verified members who have been active for at least one year and who are also nominated (max of 2 per month) to be invited to this position. Grade 5 "Senior Members": These are Premier members who have been active for at least three years and are then nominated/invited to join the Senior members group. They are jointly responsible for the management and administration of the community. There is also a specialist "inactive" Grade, Grade H: Veteran Honours - this is basically allocated to Grade 3 or above members who are inactive. It entitles their membership to be "frozen" and resumed at a later date without re-verifying. This reshuffle has removed the need for new members to server a probationary period. The award badges have been updated and changed slightly because of these changes. Awards and reviews of memberships will still be performed and announced each month with further awards and rewards being planned for the new year. Following this reshuffle we are also requesting that all Grade 2 members and above add their BSB tags in-game, on Discord and online where possible - more details will follow on this shortly. 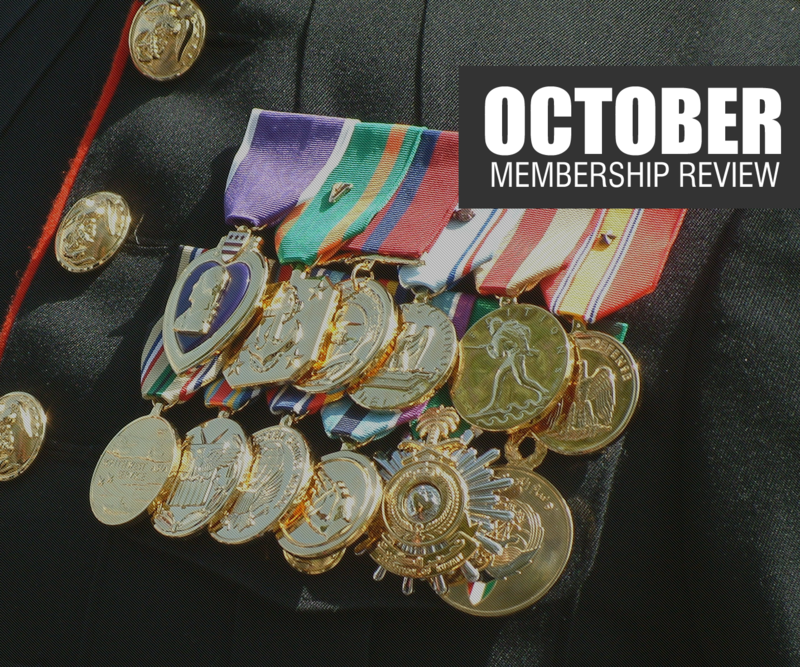 As is tradition here in BSB, we've carried out our monthly membership review and we're delighted to announce that MOONEY has been awarded with the Member of the month award for October 2018. This has been awarded for his efforts in helping to accommodate and support new and returning members to our Tarkov campaign. As with our previous two MOTM awards, this month was a close run contest this month with Doh, Kokroach, Dinger, Getto and Dewil were all in contention for the award! In addition to our Member Of The Month Award, we've also reviewed our current Probationary members and are delighted to congratulate the following members on having passed their (minimum 3 week) probation period and have been invited to join as Full 'pledge' members of BSB Network (Grade 3). Congratulations to each of you, welcome to our community and thank you for taking time to get involved! Congratulations to each of you and thanks for your support over October! While it has been a very active and busy month, we have seen a slight dip in EFT activity with the data wipe/patching imminent. We're hoping November will see a resurgence in EFT but I'd also like to ask you for your support by encouraging you stay active within BSB whilst supporting other games, encouraging gaming across other game titles with our members and whilst using our Discord server. VKleita + 2 + Grats !